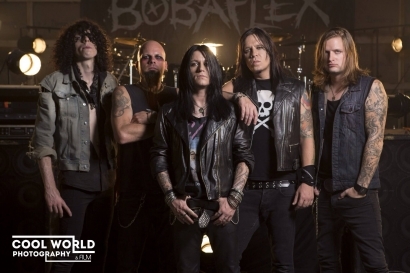 BOBAFLEX is known as one of the hardest working bands in the country. Renowned for their high energy live shows and relentless touring the band was formed in 1998 by brothers Shaun and Marty McCoy. The brothers are known for their ancestral ties to the most infamous family feud in American history between the Hatfield and McCoy. 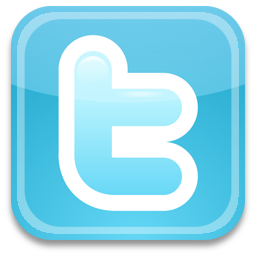 The interest of the feud has spurred of late a mini-series many documentaries and an upcoming modern day version series debuting this Fall. BOBAFLEX released their 6th album CHARLATAN’S WEB on BFX RECORDS on September 10th. The long anticipated follow up to 2011’s HELL IN MY HEART that featured the singles BURY ME WITH MY GUNS ON CHEMICAL VALLEY and THE SOUND OF SILENCE. The first single off the album BAD MAN peaked at 32 on the charts and their new single IM GLAD YOURE DEAD is off to a better start. The band consisting of brothers Shaun (vocals guitars) and Marty McCoy (vocals guitars) Tommy Johnson (drums) and David Tipple (guitars) and Jymmy Tolland (bass). Their catalog is rounded out by PRIMITIVE EPIC (2003) on Eclipse Records APOLOGIZE FOR NOTHING (2005) and TALES FROM DIRT TOWN (2007) on TvT Records and CHEMICAL VALLEY (2010) which they self-released. The band is not dreading on the past anymore as they embattled a troubled label legal battles and just looking ahead to the future.